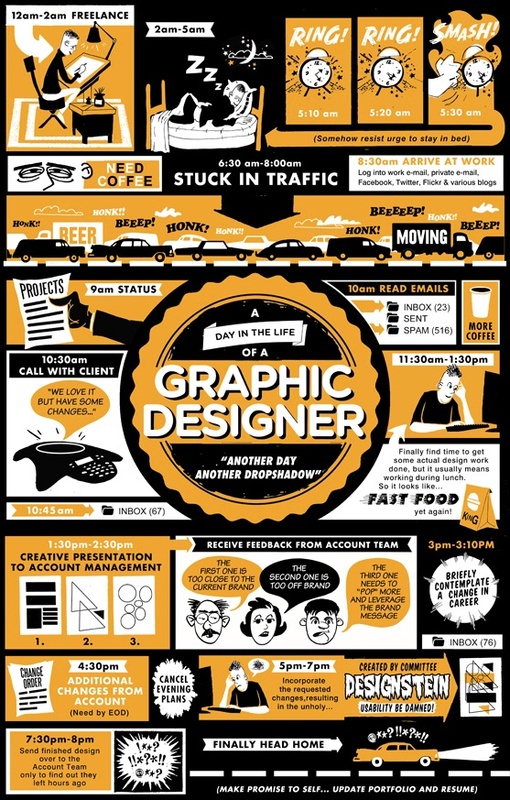 Most people have a few ideas of a graphic designer… which usually entail drawing pretty pictures most of the day. I have been interviewed by a few university students wanting to know more about the industry and what they are getting themselves in for so I thought I would write a blog post on it to give everyone an insight.First of all the term “graphic designer” wasn’t around when I was growing up (it was called a commercial artist) but I knew what I wanted to do and eventually found the correct job title for my dream. I still get asked to this day what a graphic designer is so my definition is as follows: profession of a person with artistic talents who conceptualises ideas and strategies then visually communicates them with designs such as logos, brochures, advertisements, websites etc. Alarm sounds and I eventually get up… may take up to 30 minutes though. I have a bowl of cereal and then have a shower. Get into the office and go write my to-do list for the day. This usually has on average about 15 tasks every day and never seem to get any lower no matter how productive the day is. I go through around 20 new emails and flag the ones that I need to do work for and reply where I can. I get some of the smaller tasks off my list. This is usually when a client calls wanting changes to a design I sent through the previous day. Stop everything and find their files, make the changes and get back to the design I was working on. I get involved in a medium sized project such as an advertisement or stationery design but won’t finalise until afternoon as this is usually when I think best. Reply to a few emails and make some more small changes. Sometimes this can go on until 6pm but usually by this time of the day I try to get into a nice big project such as a logo design or a website design where I can look up some fonts, do my research, sketch a few ideas and then start designing. Cup of tea time again, sometimes with a little snack. While enjoying these I will also do any finishing touches to adverts etc. and send to client. Usually when another phone call comes in with something urgent. Go to gym (if I have time), shower and then have dinner. Check through emails again. Look down at my list and feel disappointed that I didn’t get through my whole list. Work on designs and marketing for our company.